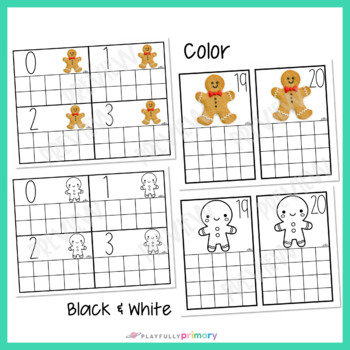 Mini eraser gingerbread man math activities! 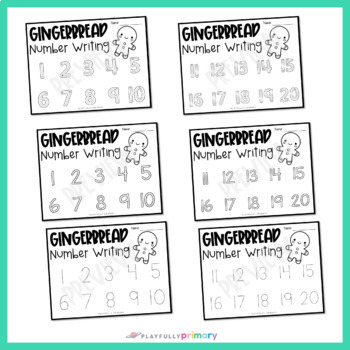 Preschool and Kindergarten students practice counting, numbers, and number recognition 0-20 using gingerbread man erasers and the ten frame printable. These easy prep cards will fit perfectly with a Christmas or winter seasonal unit. 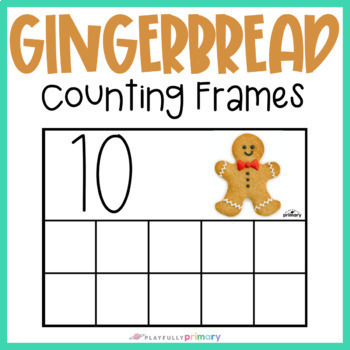 The gingerbread man ten frames can be used with other manipulatives such as gum drops, pom poms, beads, and gems. 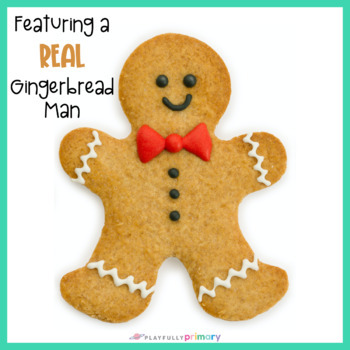 These gingerbread man activities are perfect for math centers, morning work tubs, busy bins, tot school, and Montessori!